Montpelier, VT – Often the snowiest month of the season, March can bring heaps of snow and warmer temperatures for skiers and riders in Vermont. 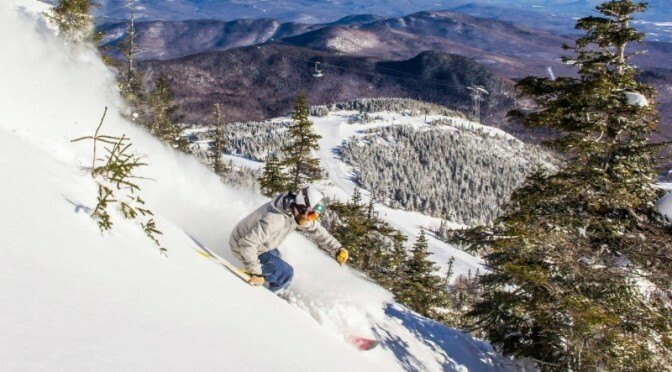 And to keep you on the slopes, the state’s ski resorts have scheduled a slew of special events and deals to keep you on the slopes this spring. The 9th annual Taste of the Kingdom returns to Jay Peak on March 1 and brings a fun evening of custom-created, seasonally inspired small plates prepared by some of the region’s top chefs, as well as a selection of local libations. Red Bull All-Snow is an open amateur contest series that returns to the roots of freestyle snowboarding. All Snow’s course is inspired by the hand-dug halfpipes and concrete skateparks of the 1970’s and 1980’s. There are no jibs or wallrides — all features are made of snow and ice. Judging is based on style, creative lines and unique tricks. Learn more and register here. Test Drive a Mercedes-Benz at Stowe Mountain Resort in the Spruce Peak Village Center and receive two complimentary Stowe Mountain Resort lift tickets valid for the remainder of this season and next winter until Dec. 17, 2017, while supplies last. Registration is required in order to participate. The event runs from 11a.m. to 3 p.m. Skin up, ski down, repeat! For more information visit Pico Mountain’s Event Calendar. Okemo is lighting up the snow on Bull Run for skiers and riders of all ages to show off their best moves. $5,000 in cash and prizes is up for grabs. A new rail garden, constructed specifically for this event will be an optimal venue for participants and spectators alike. Registration and more information available here. Known for its fun, family oriented recreational racing, the Vertical Challenge event encourages the whole family to have fun on the slopes while working toward earning some fun prizes and giveaways. Click here for more information on the Vertical Challenge. Frigid Infliction is an 8-hour winter adventure race for teams of two or three. Bolton Valley uses an accelerated cutoff system which challenges experienced teams while providing a great race for first timers. For the past four years, one third of the participants said that the Frigid Infliction was their first adventure race so for those who have never done an adventure race before, this is the perfect one to start with. Rip with some of the best tele skiers in the East at the 32nd Annual Kåre Andersen Telemark Festival. The tele tradition is strong at Bromley, and they want to share it with you; this event is open to the entire family. Clinic options will include topics appropriate for all ages and levels — beginner to advanced, and the USTSA sanctioned race features both citizen and expert categories. Clinics and free-heel camaraderie on Saturday, and Sunday will feature the annual race and additional clinics in the afternoon. 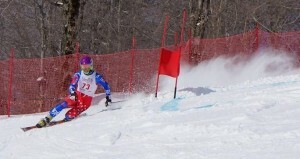 Sunday, March 5, also happens to be World Telemark Day. View the complete Telefest schedule here. Join Stratton for a celebration of the beginning of snowboarding and its progression. The Vermont Open is truly open, this event invites snowboarders of all ages and pedigrees come together to ride, party, enjoy the snow and compete for a prize purse of over $20,000. Registration is now open for all ages in slope style, rail jam, retro pipe and banked slalom competitions. When the maple sap starts running, Okemo taps into the sweet sounds of notable musical artists MAGIC! and Paul Oakenfold with Sugar Daze, a free outdoor concert extravaganza in the Jackson Gore courtyard. Click here for more info. Maine’s Mallett Brothers bring some alt-country rock-and-roll to the Foeger Ballroom with a live show at Jay Peak on Saturday, March 11. Splitfest is back again to fill the day will demos, merchandise, food and some local beer from Lost Nation. Participants will be exploring Bolton Valley’s terrain on splitboards and all mountain snowboards. There will be free demos available for those who don’t have their own equipment or happen to be interested in trying something new. Snowboarders gather at Killington’s “The Stash” terrain park to take on the natural terrain features and all the creative elements the mountain has to offer for a great cause, the High Fives Foundation. 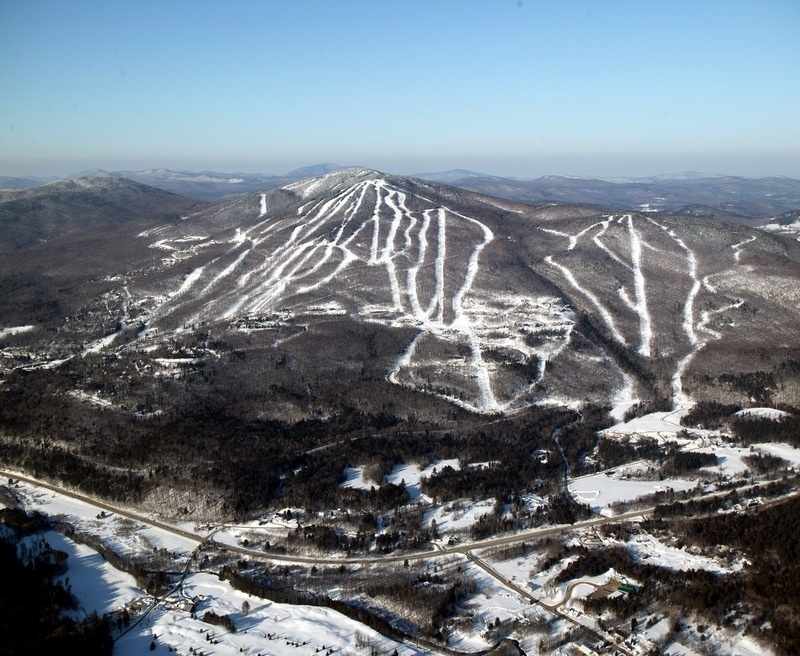 For more information visit Killington Resort’s Event Calendar. Join Bromley for this free, fun event for all ages and abilities — come out and watch or get in on the action yourself; this is the last chance to qualify for the national championships. Click here for more information on the Vertical Challenge. Take advantage of the Stowe ByPass Program in March and save over 25% on lift tickets. 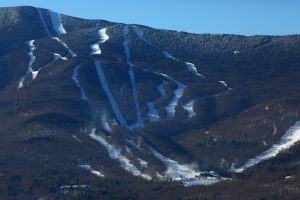 This is the easiest and fastest way to hit the slopes at Stowe’s best daily discount, with no blackout dates. Plan a midweek getaway to Stratton Mountain and save up to 50% on lift and lodging plus access to the Training and Fitness Center. Also in March save big on lodging with up to 40% off on midweek lodging rates and 30% off on weekends. This offer cannot be combined with any other discounts or promotions and is based on availability. Okemo Mountain Resort’s Spring Skiesta Card offers unrestricted skiing and riding from March 17 through the end of the 2016/2017 winter season, which is typically in mid-April. The cards are now on sale and Skiesta Card pricing is for all ages, 7 and older (children 6 and younger always ski free at Okemo). The Spring Skiesta Card offers direct-to-lift convenience with no blackout dates. Lift access at Okemo requires an RFID Real.Easy Card which must be carried in a pocket to access lifts. Learn more about pricing and details here. Bolton Valley first opened for skiing and riding in December of 1966, making this year their 50th Anniversary. In honor of that date lift tickets will be just $19.66 every non-holiday Monday for the season, as well as for their night skiing days, Tuesdays through Saturdays beginning at 4 p.m. In addition to the $19.66 lift tickets, Subaru and Hyundai owners can save at the mountain on March 4 and March 13. Want to feel like a tried and true, dyed in the wool, genuine local? Wear a flannel to Bromley on Friday, March 10, and receive an all-day Adult lift ticket for just $40. Bring the kids and get an even better deal when combined with Bromley’s Family Friday discount. Get a jump on next season at Middlebury College Snow Bowl, as the ski area has begun selling 2017-18 season passes that allow the purchaser to ski and ride the rest of this 2016-17 season with their new pass. Visit Mt. Ellen on Thursday from now until March 23 and pay on $30 for a lift ticket. After a day on the mountain, head to the Green Mountain Lounge for some live après music and food. Save on lodging with their stay four nights and get the fifth night free deal at Clay Brook or Resort Condos. Many properties include a full kitchen and a deck. Breakfast is included for slopeside kings at Clay Brook. All properties are conveniently located around the resort’s Lincoln Peak base area. Coming from Canada? Vacation at Burke Mountain Resort March 3-12 and save up to 40% off. Visit Burke Mountain for school vacation and save over $100 with their Vermont vacation deals now until March 8. Use of resort facilities including sauna, hot tub, nordic trails and the ice rink (weather permitting). Visit Smugglers’ Notch for March break, March 12-17 and save with their non-holiday rates. 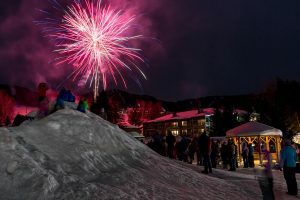 Spend time skiing and riding on Smuggs’ three big mountains with the whole family and enjoy bonfires with cocoa, live magic performances, Winter Carnival with Torchlight Parade and fireworks, and more.